EDUC& 130 GUIDING BEHAVIOR • 3	Cr. EDUC& 150 CHILD, FAMILY, AND COMMUNITY • 3	Cr. Integrate the family and community contexts in which a child develops. Explore cultures and demographics of families in society, community resources, strategies for involving families in the education of their child, and tools for effective communication. This class will include students from multiple sections. All students will meet for class on the PA Campus on 6/17/19. This class will incorporate use of live, interactive connections originating at the Port Angeles Campus. Class meets at Port Townsen d Site, Fort Worden State Park. 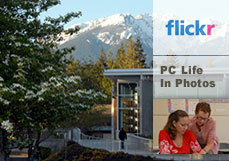 This class will incorporate use of live, interactive connections originating at the Port Angeles Campus. This class will incorporate use of live, interactive connections originating at the Port Angeles Campus and includes an online compo nent. Class meets at the Forks Extension Site.